Is some sacred art too naturalistic? There are many artists today working towards the reestablishment of the great naturalistic tradition of sacred art which was at its height in the 17th century, and this is to be encouraged. The artists coming out of the ateliers and studios that teach the traditional academic method who are adding greatly to this cause, and while there are some great painters of portrait and still life, I think that very often there is something wrong with the sacred art that they paint. Someone recently asked me about this. He felt that they looked too individualised - like portraits of the person next door, which makes it difficult to identify the figure portrayed with the saint and the ideals that the saint represents. 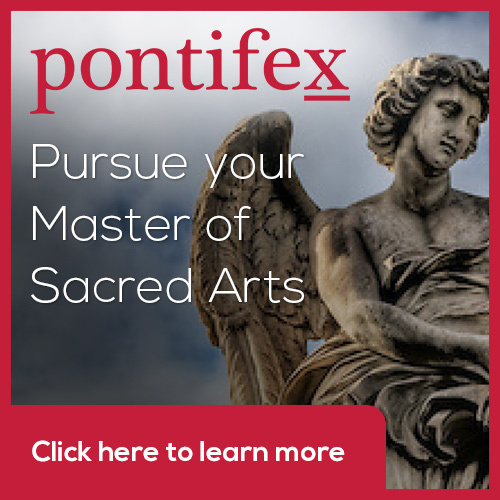 Is it possible that these modern examples of sacred art are too naturalistic he asked? I think that the answer is yes. All Christian figurative art is a balance between naturalism – likeness to physical appearances – and abstraction. The latter is the stylization that enables the artist to reveal invisible truths by visible means. We are used to a high degree of stylization in icons, but are less aware that is there too, though more subtly employed, in naturalistic sacred art too. The problem with the modern sacred art is that most people who are trained academically today are trained to paint the human person as portrait painters. The balance between naturalism and idealism is differs - what is right for portraits, is not right for sacred art. I think perhaps the seeds of this lie in the difference between 19th century academic art, which is a degraded from of the baroque of the 17th century, which is an authentic Christian tradition (although at first glace they look similar). Most of the best artists today who are painting in the Western naturalistic tradition were trained in ateliers that teach the academic method as it was in the 19th century. Although the techniques learnt were the same in each case, the there were subtle differences in style between 19th century naturalism (sometimes called ‘Realism’) and 17th century baroque and this reflects a difference in the ethos that underlies each. The impetus for the formation of the baroque was the Counter-Reformation, which built on the work of the great artists of the High Renaissance, which preceded it. Although not all baroque art had an explicitly sacred purpose, stylistically it had its roots firmly in the liturgical art form. By the 19th century, the art of the teaching academies – ‘academic’ art - had become detached from its Christian ethos. So although there would be individual artists who were Catholic, it was no longer broadly accepted as a Catholic form. In this period, in regard to the painting of people, the main focus was portraiture, as this was where the money was to be made, rather than liturgical art. That is not to say that there was no sacred art all, but that portraiture became the driving force and so this is what formed the style. Characterising the difference in a nutshell: in the 17th century, you had artists whose training was directed to the painting of sacred art turning their hand to portraiture (and other mundane subjects); in the 19th century (and even more so today) you have the reverse – artists whose training is directed to portraiture (as well as still life and to a lesser degree landscape) turning their hand to sacred art. Portrait painting, by its very nature, stresses the individual characteristic of the person. The Romantic period of the early 19th century added a new dimension. The artist was encouraged now to communicate in addition, their personal feelings about the person. This idea was not accepted by everybody immediately, but from this point we see a steady development of a sense of intimate involvement with the sitter. I do not object this to this in all cases -- I think it can work very well in portraiture. I love the portraits of the great 19th century artists (especially, for example, those of the American Boston school, which is the original source of the training I received in an atelier in Florence 100 years later). Although the unique aspects of the person are important in sacred art too, it must not be at the cost of communicating those aspects which are common to all of us. Those are the aspects of a saint that are of greatest interest to the rest of us sinners - for only the only aspects that we can emulate are those that are common to all of us. We are made in the image and likeness of God. We are in the likeness of God in those aspects that are subject to the Fall and so can be improved with God's grace. These are the very aspects that saints reveal to us as an ideal and which are presented to us as an inspiration to do the same. In this they point to the Christ-like qualities that we should all aim to imitate. It is this idealized aspect that, in my opinion, is missing from the academic art both of the 19th century and it is even more pronounced in its current manifestation. The result in the context of sacred art is very often a painting that communicates an over-familiarity with the individual. It looks like a set from a Victorian melodrama – with a friend or relative dressed up as Our Lady, rather than Our Lady herself. Contrast also William Bougeureau’s Virgin and Lamb [above], painted at the turn of the 20th century with Raphael’s tondo the Alba Madonna of 1511 [below]. Raphael deliberately idealized his work, to evoke the heavenly ideal, by basing it on the idealized features of ancient Greek art. Bougeureau’s Madonna, on the other hand, is tinged with a sentimentality that is, in my opinion, inappropriate for the subject which result, I believe, from this over intimate rendering of the person. However, looking another piece of work by the same artist, but this time a portrait, we see a work of both great vigour and beauty. His style is appropriate here, I feel. As another piece that has this staged-pose look, I would cite also Jules Bastien-Lapage's St Joan [below]. Bastien-Lepage was famous for painting rural scenes of peasants. Although rendered with dazzling skill (perhaps beyond the level of any artist I know of today) it still has the look of a model, dressed up in peasant garb rather than something that points to the saint. I would struggle to pray in front of this in a church. It is just too present and immediate. And, like Bougeureau, for all the weaknesses of this as a piece of devotional art, Bastien-Lepage's portraits are, in my opinion, splendid. In naturalistic art it is appropriate to communicate strongly the emotions of the subject painted (in contrast with icons for example, where it is less true). We read emotions of people by looking at their faces and by gesture. It occurs to me that perhaps one of the reasons that the baroque stresses gesture so strongly is that it provides a way of communicating emotion without requiring the observer to focus there attention so strongly on the face and so hightening too much the uniqueness of the person. So assuming we accept the analysis, how can we avoid it this problem today? I think that the answer lies in the training. The style within a tradition has always been transmitted by the Masters we study. So, artists seeking to produce should study and copy, in the spirit of understanding, the works of the Masters of liturgical art they admire. Although I love the work of Raphael, and there are many aspects of his work I love to be able to emulate, I would not want to do so in this particular regard – if anything he swings in the opposite direction and the idealization is overemphasized for my tastes. I would go first for the great artists of baroque naturalism, for example, Georges de la Tour [below], Velazquez, Ribera and Zurbaran [below the de la Tours]. All of these artists, (the examples shown are de la Tour's St Joseph and Zurbaran's St Francis) presented saints with a balance of the individuality and idealisation that strikes the right balance. If there was a more recent artist whose sacred art succeeds, I would suggest the 20th century Italian, Pietro Annigoni. I saw his St Joseph [below] hanging in a church in Florence alongside baroque masters and despite its modern appearance in many other respects, it did not look out of place at all. There is another aspect that could be introduced into the training of all artists that wasn’t present in the 17th century, but which nevertheless might help. Artists cannot help but be influenced by the art we have seen and we live in time in which we are bombarded by photographic imagery in all its manifestations. As a result the subtleties of the balance of the particular and the ideal that we are discussing are not easily reproduced even if we want to. I think that some exposure to a form of painting in which the idealized form is much more obvious and is clearly linked to theology would be beneficial. I would always recommend, therefore, that even an artist who eventually wants to specialize in the Western naturalistic tradition include some iconography in their foundational training. The actual experience of creating icons is more likely to impress these values upon the souls of artists so that intuitively they will include them in their own work. Does the means invalidate the end? Shortly after moving the US I was contacted by someone I knew when I was studying if Florence. When I was in Florence Martinho Correia had been teaching the academic method at one of the ateliers in Florence. He contacted me because he had just converted to Catholicism and was keen to tell me about it. It was good to hear from him, especially with such good news! More recently Martinho told me about a two-week course he was offering, now back in his home town Calgary in Canada called Painting People from Photos. You can see the details here. This raises the question as to whether or not an artist should paint from photographs? Many of those who were trained to paint from nature in ateliers would say categorically, no! to a highly trained artist working from photographs feels like cheating; and there is the sense too that the proper way to represent something is to percieve it directly (even though practically no icon is painted through direct apprehension of the saint). I always used to think this until I reluctantly had to admit that if I had to make a living as a portrait painter I would probably have to paint from photographs some of the time. The advantage of photographs is that you don't require the sitter to be available as much and so you can produce a cheaper portrait. Also it is one solution to the problem of trying to painting subjects that won't sit still, such as children or animals - although perhaps if I had the skill of Sargent this wouldn't be a problem. I wonder also if part of the reason for my objecting to this comes from an instinctive reaction against modernity and the idea of a machine do what used to done by hand? On reflection, however, the only way to judge this is by the quality of the end result. If the final painting created by copying a photograph is indistinguishable from (or even superior to) that painted directly from a sitter, then all well and good. There are some who think that the means is important, even if you can't tell the difference in the end. I do not hold to this (provided that the means doesn't lead the artist into sin). There is a similar discussion in regard to icon painting: many tell me that the artist must work from a dark to light (starting with a dark base colour and building the highlights on top) because it mirrors the theological point that the light overcomes the darkness. Aidan Hart firmly lays this to rest in his recently published book. He describes how modern X-ray analysis has shown that many ancient icons weren't painted in this way. Hart himself has put aside the light-from-dark method (along with its accompanying theology) for another on the grounds that he can paint icons of equal quality faster so sell more. This is an important consideration for a working artist.So back to photographs. The question that remains is this: can an artist produce equal results to those produced by observing directly from nature? The lens of a camera processes the image differently from that in the eye (its a bit like the difference between a wide angle lens and magnifying glass) and so a photograph looks different to a painting from nature. The stylistic elements of the baroque are developed so that when the eye sees the two-dimensional painting, the information as presented to and utilised by the mind, is the same as if it were looking at the three-dimensional object. Therefore, it is conceivable that an artist who understands these differences could adapt a photograph so that it contains those painterly qualities. If we look at Martinho's examples below, he is most definitely not just copying the photograph. The background for example is totally different and has been skillfully applied so that light and dark contrasts vary according to the local tonal value of the subject. He would not know how to do this if were not highly knowledgable about traditional portraiture. It is concievable that a new form could develop out of this, in which some photographic elements are retained, and some are changed. Even this is not a bad thing necessarily. Photography is a legitimate art form, so why not this hybrid? All the examples shown are by Martinho. I always used to wonder why some faces painted in tempera had a green tinge to them. I had been told at some point, that this was the underpainting showing through and that the colour of the skin had somehow faded. This is possible: in the 15th century Cennino Cennini described a method in which monochrome underpainting is undertaken in terre verte, an earth green, before a thin transparent layer of skin tone, a pale orange, is applied. 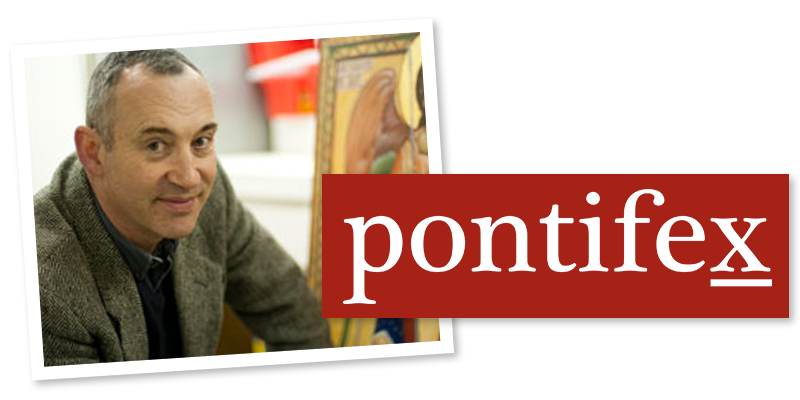 Cennino Cennini's method is described in a book called The Method of Tempera Painting). But even so, why put the green there in the first place? It was obviously intended originally to give a greenish tinge to the skin (even before the colour changed over time).When painting icons I was encouraged to use red and green washes in shadows but it was an intuitive process and I wasn't sure what principles were guiding me or why they were used (I probably hadn''t been paying attention in class!). It wasn't until I went to study portrait painting in Florence that I felt I understood what was going on here. I was taught that we see the deepest shadows are red or red brown and the half-tones are a green grey. The colour is obtained by mixing ivory black, yellow ochre and white. Ivory black has a touch of blue in it and so creates a grey-green when mixed with the yellow and white. The colour produced matches almost exactly the colour of the veins that you see, under the surface of the skin. So if you look at your wrists you will see this colour in the visible veins under your skin there. What the icon painters and gothic artists are doing is just what the portrait painters were trying to do: match the colour scheme of their paintings with what they see in nature. It shows that even in the highly stylised forms so much is based upon observation of nature. Above: a study I made under direction in which the deep shadow lines are red (see the line above the upper eyelid and defining the nose for example); below: a mosaic by a master from Istanbul in which the artist has defined the deep shadow lines in a red brown colour, and the half tones are in earth green. This is handled superbly and has a natural appearance. Above: a pastel portrait completed while I was in Florence the deep shades are red-brown while the half-tone skin colour is grey green; below: a portrait of 18th century society beauty Lady Hamilton by master George Romney in which he is very skilfully handling the transition from green to red as the shadow gets deeper. And below that is a self-portrait by another the 18th century English master, Sir Joshua Reynolds. Romney and Reynolds are part of the British school that can be traced back to Sir Anthony Van Dyck who was, in turn the star student of Rubens.